I am Jim Ross; a fully qualified driving instructor based in Dungannon. I am happy to collect my students from a convenient location (i.e. home, work or college) in Dungannon, Cookstown, Aughnacloy, Coalisland, Donaghmore or any of the surrounding local areas seven days a week. I run a small family run business which was first established over 50 years ago by my father. 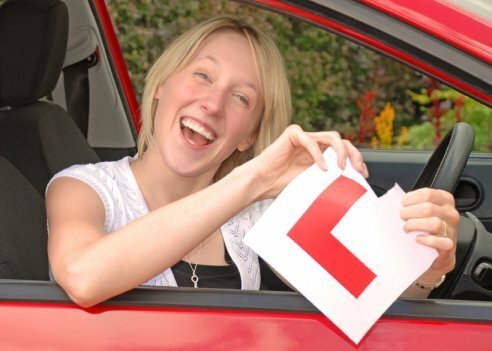 I have been a driving instructor for the past twenty eight years, so have the necessary expertise to help my students whether they are learning for the first time or would just like to improve their existing skills. I pride myself on teaching my students to become a safe and confident driver for life, not just to pass their test (but I do have an excellent pass rate!). I consider myself to be reliable and friendly and have been told that my calm attitude helps even nervous learners settle in quickly. I am a member of the Mid-Ulster Driving Instructors Association and an approved Driver & Vehicle agency instructor for your peace of mind. I also hold public liability insurance to the value of £1million. In the UK, driving tests are conducted by the Driving & Vehicle Standards Agency (DVSA). Check out the website at www.gov.uk , then click on the link for Driving and Transport. This contains all the information that learners and new drivers need to know. We are quite happy to pick you up and drop you off anywhere in the local area, school, college, work or shops. Our Lesson times are 9am to 10pm Monday to Thursday and 9am to 9pm Friday to Sunday meaning you can fit the lessons around your weekly schedule. We make sure that the lessons are enjoyable, so that you learn to drive in a relaxed atmosphere. We offer prices which are competitive with any local business, plus we are fully insured, including £1million Public Liability. Available for Birhdays, Christmas etc. Call and ask us about our Intensive Courses, Motorway Lessons, Eco-Driving lessons, Student discount, Refresher courses and Theory test help.